That is just a tad over four feet longer than the original version at 113.3 mm. 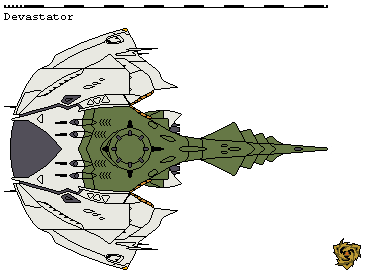 The patrol cruiser is I think eight meters longer than the old Hood-class battlecruiser. 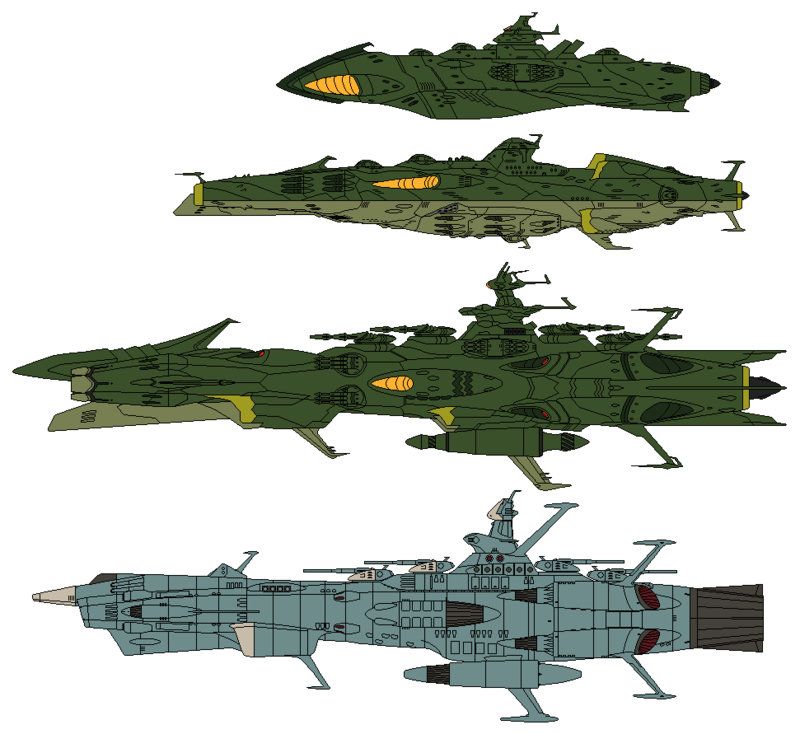 Any more drawings for Yamato 2202? Got the Neu Deusura done. Looking at the design references while making this reinforces my opinion that the Neu Deusura's best profile is from the front. Everywhere else it's a big mess in terms of silhouette. 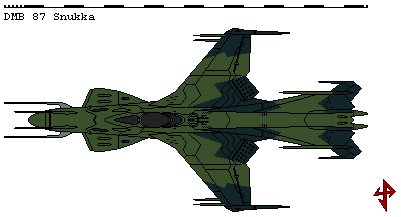 Comparison with the Deusura II. So I scaled the Gamdromedas to the side blister guns on the Destroia and Meltoria, and it gave me about 470 meters. 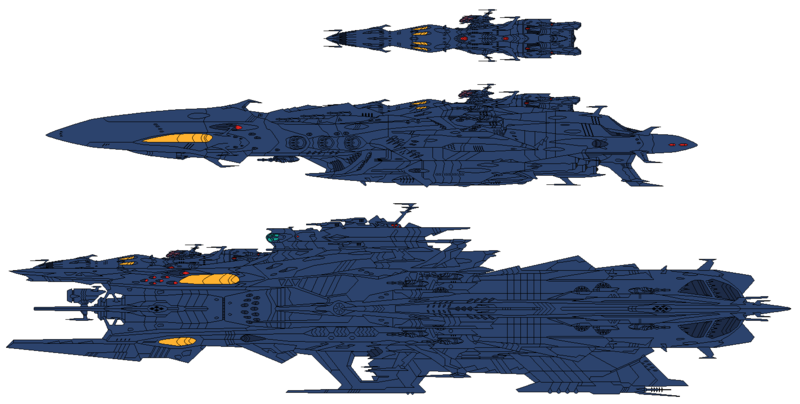 At this size the side turrets are the same size and type as the ones on the Haizerad, and the main turrets are the same size as on the Deusura II, though the barrels are longer and thicker. skaianDestiny drew those from what I know. Yeah those are my work. Some intermediate designs I made. So since 2202 robbed us of some good EDF designs, I took it upon myself to update them. 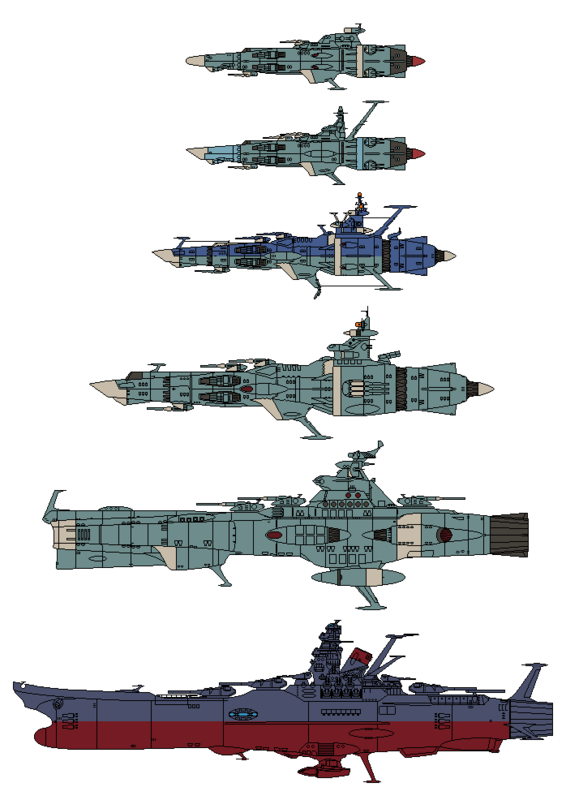 Size chart with other EDF ships. 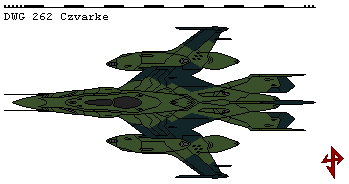 Note I increased the size of the frigate and Dreadnought to 148 and 300 meters respectively, as I feel these figures work much better.